Topsham, ME IAM Local S89 recently participated in a drive to collect food, winter clothing and backpacks for children in need attending Lewiston Middle School. The local includes the paralegals of the law firm McTeague-Higbee and government employees of Bath, Harspwell, Topsham and Wiscassest, ME. 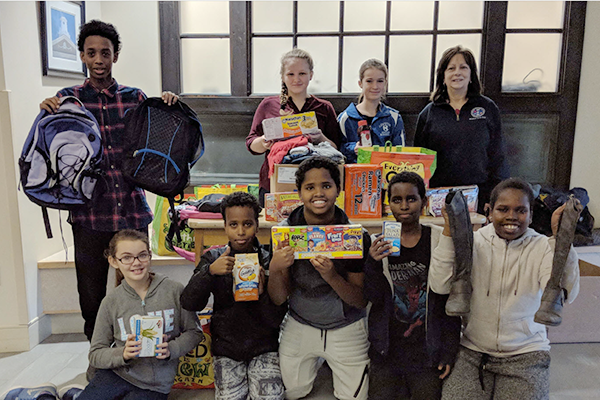 Local S89 members spent two weeks collecting food items that are easily opened, winter clothing, and backpacks. Donations were delivered by S-89 Representatives to the Athletic Director of Lewiston Middle School, Dale Forrest.